55 hours of work to date. Spent 4 hours last night sorting blue and finishing the floor of Section "A-4" and a bit of the double man in section "A-2". 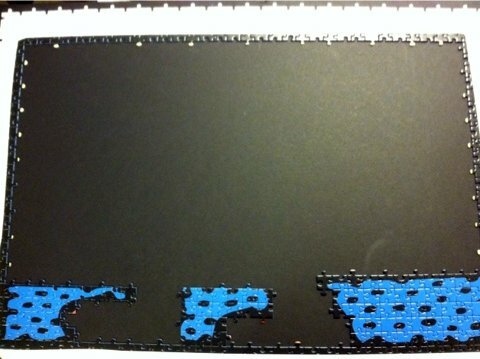 I had hoped to finish blue last night, but hopefully tonight. 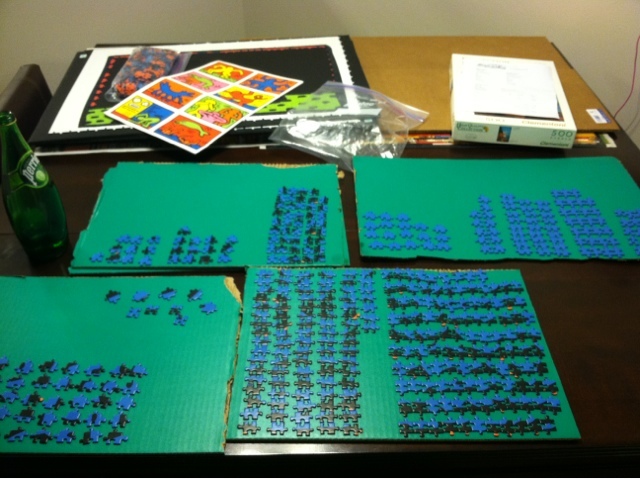 All of the blue pieces sorted for section "A"
Showing how the puzzle has two identical pieces per section, so you can use the adjacent column to help you find the correct piece. 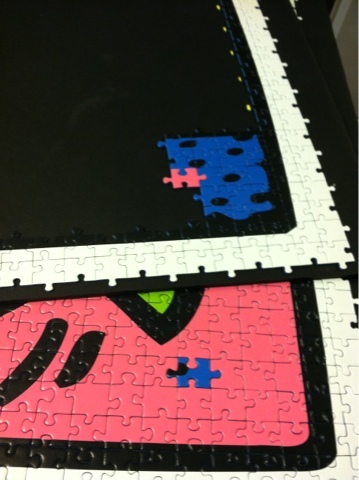 Here I had already completed pink in Section "A" Image 3 so I could use it to help find the blue in Image 4. 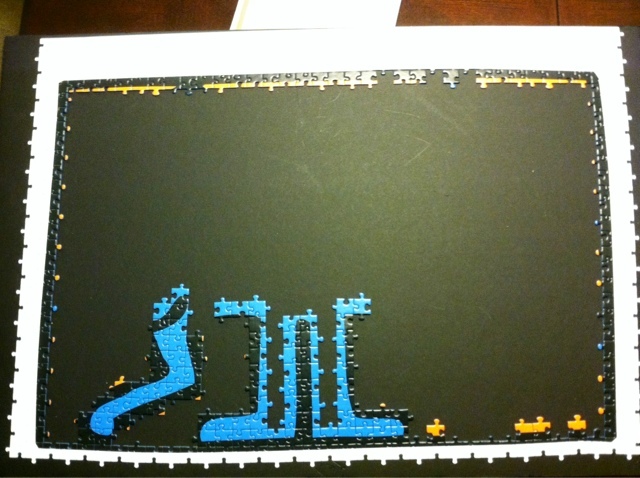 The blue floor of Section"A" image 4 completed. Starting the double man in Section "A-2"